Osteoarthritis is a condition once thought to be due simply to wear and tear on the cartilage of a joint. Osteoarthritis is now known to be a complex process that involves an active disease process. Normal joint surfaces are covered with a smooth layer of cartilage. This cartilage is the surface that is worn thin in the condition called osteoarthritis. The problem that causes osteoarthritis is due to more wearing away (degradation) and less repair of the cartilage surface. There is both a mechanical (wearing away) part of osteoarthritis, and a biologic (abnormal joint biology) part of the disease. Research over the past decade has focused on finding the underlying causes of osteoarthritis, and how understanding these causes may shape future treatments. We know that patients who have osteoarthritis likely have multiple risk factors that have led to their development of this condition. 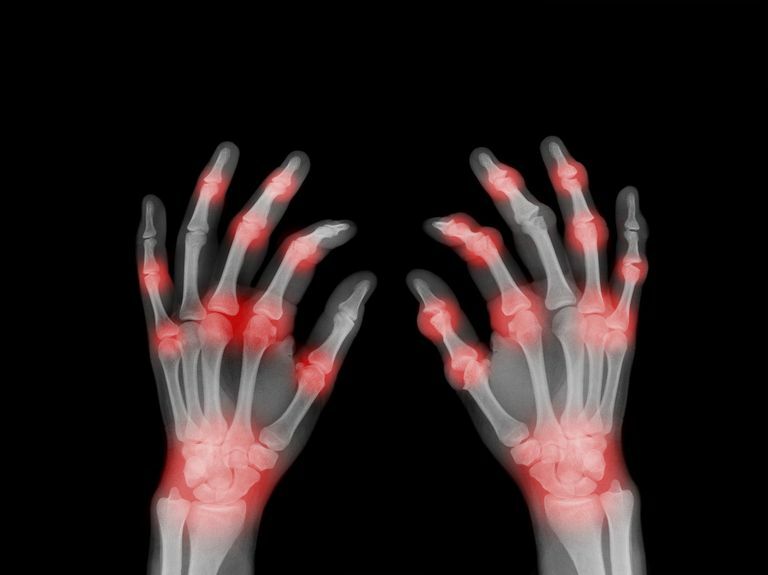 It is known that osteoarthritis tends to affect older individuals, but it is not clear why some people develop arthritic changes in their 40s and 50s, while others live long lives with few joint problems. People once thought that osteoarthritis was simply due to the demands an individual placed on their joints throughout life. Many people attribute their arthritis to the activities of their youth. But it really is not that simple. Many people who run and play competitive sports have no problems with arthritic joints. It is now understood that osteoarthritis is not an inevitable part of aging. It seems as though a combination of different factors leads to the development of osteoarthritis in individuals. In different people, different factors may be more important, but it is unusual to have just one underlying problem that causes osteoarthritis. In order to best treat osteoarthritis, physicians must better understand the disease. While osteoarthritis was once thought to be confined to the cartilage surface, it is now known that osteoarthritis affects the entire joint causing loss of cartilage, damage to bone, formation of bone spurs, and inflammation of the soft tissues. Osteoarthritis treatment is aimed at the processes that are thought to cause this problem. As discussed previously, osteoarthritis is due to both mechanical (wear-and-tear) and biologic (breakdown and repair of joint cartilage) processes. Cartilage undergoes a normal cycle of breakdown and repair, but in the condition of osteoarthritis, the cartilage is not replaced effectively, and ultimately the joint lining wears thin. The fundamental problem of osteoarthritis is thought to be the imbalance between fresh cartilage production, and natural degradation. As the joint surface wears away, the body attempts to correct the problem. Your body will initiate an inflammatory response to the joint, causing swelling. New bone in the form of bone spurs are created to increase the joint surface area. Unfortunately, your body cannot compensate for the cartilage that is lost, and the painful condition of osteoarthritis is the result. Treatments for osteoarthritis are directed at controlling the inflammatory response and maximizing your body's ability to compensate for the damaged joint. Anti-Inflammatory Medications: Anti-inflammatory medications, also called NSAIDs, are oral medications that help control the cycle of inflammation. These medications are sold under the trade names Motrin, Naprosyn, Celebrex, and others. These medications help decrease the inflammatory process and also help reduce pain. Cortisone Injections: Cortisone injections also help to control inflammation. Cortisone is a substance that is naturally produced in your body by the adrenal gland. An injection of synthetic cortisone can be helpful at providing a very high dose of anti-inflammatory medication directly to the affected joint. Physical Therapy: Physical therapy is used to strengthen the muscles around the joint affected by osteoarthritis. By doing so, the muscles can support more of the forces around the joint, placing less of a burden on the cartilage and bone. Weight Loss: Weight loss is often very difficult, but it can be the most effective step in controlling the pain associated with arthritis. Weight loss decreases the burden the joint must carry, especially with the hips, knees, and feet. Patients with osteoarthritis of the lower extremity who are able to lose weight almost always have symptoms relief. Diet: The effect of changing diet is not well understood, but it is known that obesity is a risk factor for developing osteoarthritis, and when people with osteoarthritis loose weight they experience significant improvement of clinical symptoms. Specific diets have been studied, but little has been proven. In small studies, antioxidants have been shown to decrease the progression of osteoarthritis, but they have not been proven in longer studies, and they have not been shown to change the overall incidence of osteoarthritis. Vitamin D has also been shown to decrease progression of osteoarthritis. These data suggest that diet may be important in preventing progression of the disease, but other factors may be more important in primary prevention. Glucosamine and Chondroitin: The impact of taking glucosamine and chondroitin being studied, but is not well understood. As stated previously, osteoarthritis is thought to be due to a problem of new cartilage not being formed sufficiently to replace old cartilage being degraded. Glucosamine and chondroitin are some of the "building blocks" of cartilage, and some people believe that taking these supplements may help create more cartilage.There has been a great degree of enthusiasm, primarily in the form of media and advertising, for this treatment, but there is very little research to support claims of an 'arthritis cure.' The general consensus of the medical profession at this time is that there may be an effect of taking these supplements, but it is not well understood. They are known to be safe and may have some utility in the treatment of osteoarthritis. Synvisc: Synvisc is a substance called hyaluronic acid, a protein that is secreted by cartilage cells. This substance is secreted into the joint, and helps give your joint fluid a slippery, or viscous, quality. By injecting this substance into the knee, some people believe you are replacing this vital component of joint fluid. Long-term studies have yet to show any clear benefit of Synvisc, however many patients believe in its effects. What has been shown, is that patients who are treated with Synvisc are more likely to have more time until a knee replacement is needed, meaning Synvisc is useful in delaying surgical treatment of osteoarthritis. Because of problems with performing knee replacement surgery in younger patients, this is potentially a great benefit. There has been interest in cartilage resurfacing and cartilage transplantation techniques. These procedures are most commonly used in patients with arthritis of the knee joint. Unfortunately, these techniques have shown the best results in patients who only have small areas of arthritis of the joint, rather than widespread cartilage wear that is commonly seen in patients with osteoarthritis.